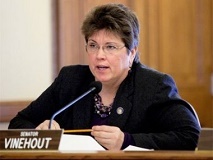 Kathleen Vinehout of Alma is an educator, business woman, and farmer who is now the State Senator from the 31st District of Wisconsin. She was a candidate for Governor in 2014 until an injury forced her out of the race , was one of the courageous Wisconsin 14, and ran for Governor again in 2018. Kathleen Vinehout looks back at her twelve years of service as the State Senator for the 31st District as she reflects on the 624 columns she personally wrote, the countless heartfelt constituent cases she worked on, and the breadth of legislation she drafted. Twelve years – to that day – my Senate career is history. My, how time flies. Cleaning out my desk, I found notes I took on my orientation day. I set my goals as part of the training. Here’s what rookie Senator Vinehout promised herself: vote my conscience; match my votes to my district; be honest; respond to constituents; show respect to everyone in the Capitol; be the ‘servant leader’ – humble and listening; be the professor and folksy farmer. I’d say, I did pretty darn good. As a rookie, I wanted to solve every problem. I naively thought getting the policy correct meant a bill would become law. My first big project was to draft a healthcare bill that covered everyone and saved a billion dollars – my colleagues and I called it Healthy Wisconsin. I quickly learned just coming up with a plan was a long way from changing the law. The plan failed. Later, I was able to pass less ambitious, but important health bills. For example, keeping your adult children on your health plan until they turn 27 – years before the Affordable Care Act (ACA) passed. Today, Wisconsin still grapples with high health care costs. Recent court decisions to overturn the ACA make state health protections even more critical. I recently attended my last hearing in the Capitol – The Blue Ribbon Commission on School Funding Reform. Twelve years later, I’m still listening to experts, including school superintendents, about what’s best to help kids. 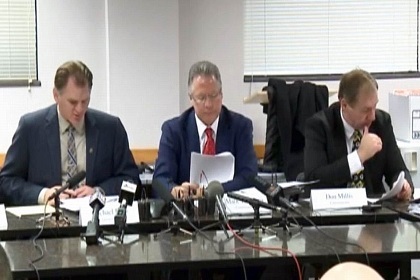 I joined with other commissioners to propose nearly 20 solutions for fixing our school funding problems. I was encouraged the Commission found so much agreement. I’m hopeful the recommended solutions will be adopted in the upcoming state budget. I carry the stories of people and their problems with me, in my mind and heart. Sometimes I helped. Sometimes I couldn’t. People called me when they faced impossible conundrums. Like the truck driver who needed his CDL renewed. The federal law called Real ID, requires birth certificates for driver licenses. The man was born in Mexico. As an adopted infant, his American parents never finished the naturalization process. He needed a birth certificate that didn’t exist. His adopted parents passed away. The adoption agency closed. I could find no solution. This kind of situation tears at my heart. Along the way, I’ve learned that just having a Senator listen can be a powerful act. I spent a lot of time listening. I slowly learned that, by itself, listening can heal. I’ve heard so many stories. 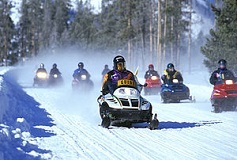 Many were shared in my weekly column. You are reading the 624th column I’ve written. And, yes, I personally wrote every single one. There’s a lot to a lawmaker’s job. One metric for measuring success is the bills one introduced. Over 12 years, I introduced 364 bills. Forty-three became law. Working in a Republican Legislature for the past 8 years, I’ve had to work with my Republican colleagues as 2nd author to get my bills passed. Of course, merely counting bills doesn’t address the breadth or quality of the proposals. Like Healthy Wisconsin, I’ve grappled with transformational issues. Topics like free college tuition, universal broadband, and, of course, universal healthcare. I’ve always thought of my job as a team effort. Yes, my name is on the door. But that role cannot be accomplished by one person. Doug, my loving husband, is my rock and political guru. My son Nathan is my greatest joy. I was blessed with amazing staff: Jacob Wipperfurth, Beau Stafford and my retiring, fabulous, Chief of Staff, Linda Kleinschmidt. I was also blessed with incredible constituents. Thank you to all of you. I’m a better Senator because of your help. Keep Sowing Seeds for Peace on Earth and Good Will to All! 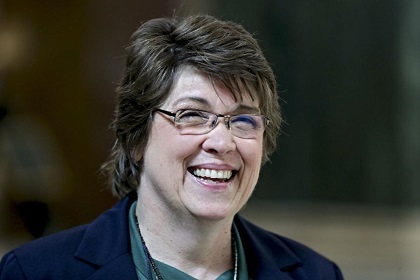 Sen. Kathleen Vinehout writes about her contacts with constituents while in the state Senate, from the many who had problems that required her help to how she benefited from all the times they shared their stories and knowledge with her. Sen. Vinehout writes about fellow Senator Fred Risser, the longest serving State Legislator in the nation. He has served over 60 years in the Legislature seeking bipartisanship and ensuring the public is involved and shows no signs of slowing down. Senator Risser is the longest serving Legislator in the United States. He was born in 1927 and first elected to office in 1956 and elected to the state Senate in 1962. 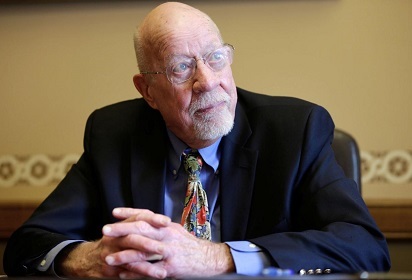 At 91, Senator Risser has one of the sharpest minds in the Senate. He understands aspects of bills only a lawyer with vast legislative experience would know. I frequently turn to him to understand the breadth and background of bills. He often finds details hidden in the bills that I overlooked. Senator Risser is an energetic and passionate man. 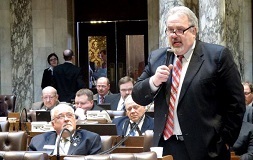 Only last week, as the current Senate President expelled all observers from the Senate gallery, Senator Risser was the first lawmaker to jump out of his seat and plead with the current president to allow citizens to stay and watch. Over the years, Senator Risser watched as public hearings became less and less about the public. All too often, adequate public notice is not given and voting happens without the public watching. 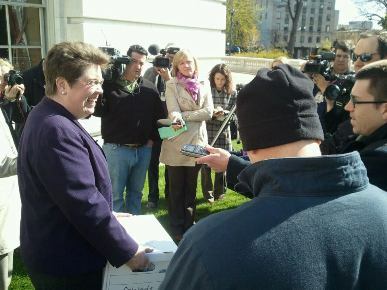 Senators will vote using a process of “paper ballots” filled out in the privacy of their offices. This was the process used by Senate Republican Leaders to approve last week’s extraordinary session. The business of the Senate has certainly changed. One thing Senator Risser and I share is a bit of a rebellious streak, especially when it comes to leaders who want to twist arms. I asked Fred how he dealt with finding common ground among Senators. He became Senate Minority leader because “no one else wanted the job.” Working with the consensus of his colleagues, he noted that “we were able to function well.” Among Senator Risser’s numerous achievements is the creation of the role of Senate President – the presiding officer of the State Senate. 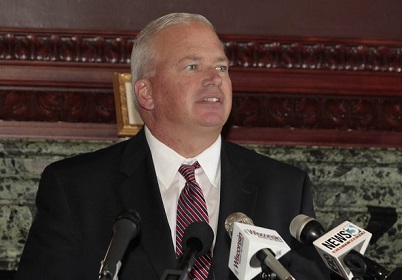 He led the effort to amend the state Constitution with the help of rural newspapers. Part of his secret to a long and healthy life is exercise. He takes the stairs every day to his Capitol office. “I’ve never taken an elevator as Senator. That includes when I once was on crutches,” he said. “Walking up and down steps is good for you.” Senator Risser is also an enthusiastic bicyclist and rode a total of 2,825 miles this year. He has a tradition of biking for his birthday. He rides one mile of every year of the age he celebrates, which was 91 miles this year, and he shows no sign of slowing down. Thank you, Fred, for your service to our state, your help and inspiration. Even after twelve years, next to you, I’ll always be a rookie. 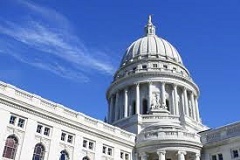 The bills proposed in the Extraordinary Session called by Republican Leaders will create powers for the Legislature that handcuff the new administration and curtail the power of the incoming Governor and Attorney General. Wisconsinites expect a respectful transition of power, not a power grab by one party. 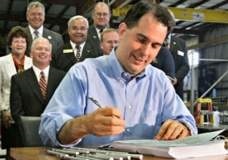 MADISON - If you were a legislative leader in Wisconsin, and had an opportunity to pass new laws before your party’s governor left office, what would you do? What would you fix as your last act in power? There are many opportunities for Wisconsinites to serve our great state through the various boards, commissions, and councils. Here is how you can apply.